How joint projects were created by leading Ukrainian artists and designers can be seen at the exhibition in the gallery Invogue # Art. 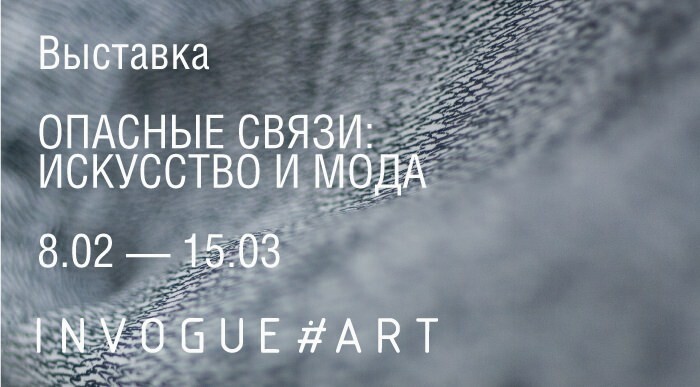 From February 8 to March 15, the exhibition “Dangerous Liaisons: Art and Fashion” will be open to all comers at the Invogue # Art Gallery in Odessa. This is a project about the interaction of modern art and fashion industry. The exhibition features seven collaborations of modern Ukrainian designers and artists. The exhibition "Dangerous Liaisons: Art and Fashion" presents collaborative projects of artists and designers. For the sophisticated viewer and anyone interested in modern art and fashion, it will be interesting to see how these products, accessories and other items were created. And also see the synergy in the work of artists and designers. The authors of the exhibition will show the guests of the Invogue # Art gallery not only the results of joint projects of artists and designers, but also the path of exploration and inspiration that each of them went through. Together with the viewer, we will talk about why each of the presented designers decided to go beyond their experience and what they wanted to achieve through interaction with art. There are also several exhibits in the project, inspired by Odessa-based woman Sonya Delaunay and Ukrainian folk art. Participants in the exhibition “Dangerous Liaisons: Art and Fashion” were: ELENAREVA in collaboration with Lada Nakonechna, Vlada Ralko and Katya Libkind; Svetlana Bevza in collaboration with the Potter Museum; Ivan Frolov with Anatoly Belov; Masha Reva and Sabina Feynman; Lilia Pustovit with Pavel Makov and Masha Shubina; Vlada Ralko and OCHI. The interaction of fashion and art - a novel that lasts for more than a decade. The exhibition "Dangerous connections: art and fashion" about what ideas are born in our time in the Ukrainian realities in the creative class. Probably some of them will go down in history one day. Odessans and visitors of the city will have the opportunity to look behind the scenes of the final product, which, thanks to synergy, can often not be defined as something concrete - the subject of design or art. We invite you to the exhibition “Dangerous Liaisons: Art and Fashion” - to find out how and why it was created. Project created by Port. agency led by Katya Taylor.